The BA (Hons) Business Studies is brought to life with practice-based topics run in conjunction with industry and delivered by lecturers who have developed their skills in the business world. Students have the opportunity to develop skills in a placement setting either through undertaking a one-year paid placement or through a ten week placement in their final year. Our programmes support you to become confident and enterprising whilst also helping you master a range of soft skills valued by graduate employers, such as teamwork, communication and time management. 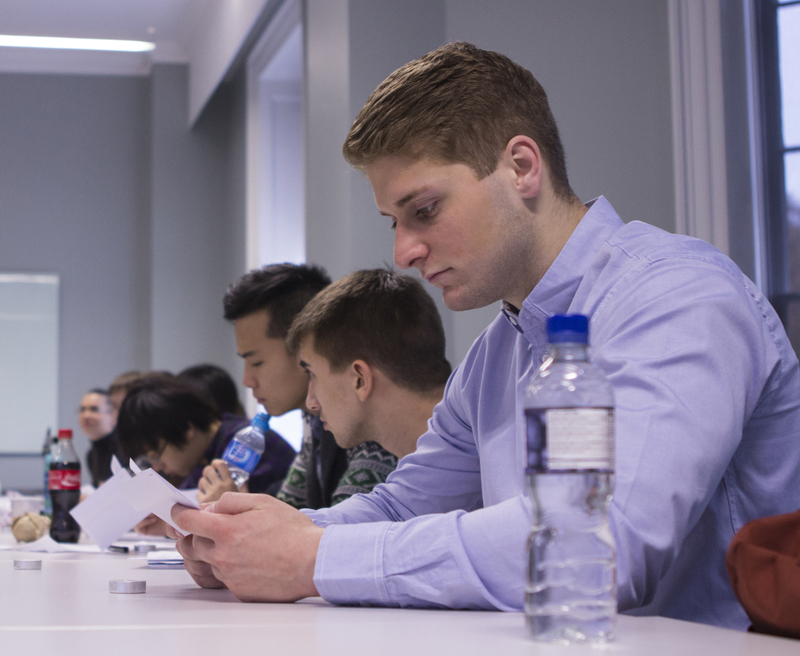 I chose to study a business degree at Chichester because the lectures are run in small workshop style sessions with more “facetime” with the lecturers, and I felt that I would learn more in this environment. The first year of study focuses on providing the foundation to the rest of the degree through introducing you to the key subject areas, in parallel with allowing time to focus on your personal and team development skills. As you progress through the degree you will also have option modules that will let you specialise further in key business areas. In your final year of study you will undertake a management project. This allows you to research an area of particular interest. A key advantage of the multi-disciplinary nature of our Business Studies degree is that it does not confine you to a specific job within a specific business sector. Employers will value the breadth of your experience and the employability skills that you will have developed, such as effective communication; team working; leadership; problem solving and creative thinking. Operations management is about the way organisations produce goods and services, and in particular the activities that are directly concerned with making and delivering these products. In principle, operations management is very simple. Organisations will take a variety of inputs (materials, money and human resource); perform operations (such as manufacturing and service provision) which in turn will give outputs (the finished goods and services). In practice the business processes by which this is achieved can become very complex. The aim of this module is to enable students to appreciate how organisations effectively manage facilities, assets and resources for the efficient delivery of consistent quality goods and services.